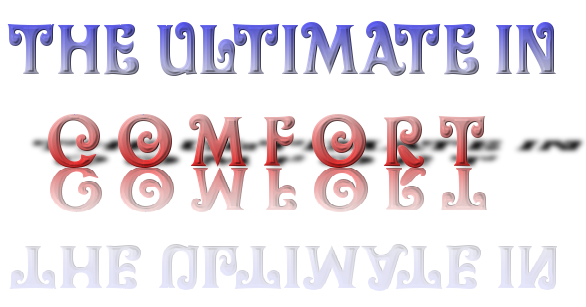 The Comfort Adjustable Bed with the High-Profile Latex Foam Mattress now comes in your choice of 4 firmnesses: Soft, Regular Firm, Extra Firm and Ultra Firm. The High Profile Latex Foam Mattress is the Ultimate In Comfort. 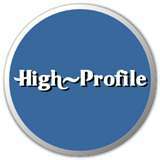 The High Profile Latex Foam Mattresses is approximately 8.75" thick and has a 5.6" core + 1.1" +1.1" on both sides, and is quilting on both sides. 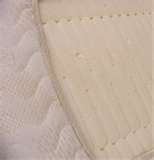 The mattress has material-type handles for easy turning of the mattress - completely reversible from head to foot, and upside down. 20-Year Warranty. We double stitch around the sides and triple stitch around the corners for long term wear. You cannot buy a higher quality of more comfortable mattress. All Adjustable Bed Mattresses have to Support you, Cushion you and Feel Good. Adjustable Bed Mattresses also have to be able to bend. Latex Foam Mattresses do all categories, not just good, but PERFECTLY! If you had a million dollars in your right pocket, and set out on a mission to buy the MOST COMFORTABLE mattress in the world, IT WOULD BE LATEX FOAM. Instead of 300+ coils supporting and cushioning your body, you have MILLIONS of LatexPillo Air Cells Supporting and Cushioning your body. UNLIKE TEMPURPEDIC MEMORY FOAM, Latex Foam ALWAYS tries to get back into its original shape WHILE YOU ARE STILL ON THE MATTRESS. Why is this important? Because your HEALTH - YOUR POSTURE is the most important consideration to getting a GOOD NIGHT'S SLEEP. You never bottom out when you sleep on Latex Foam - unlike steel coil mattresses - where you have to toss and turn every 15 minutes just to release the pressure. Choose from Soft, Regular Firm, Extra Firm and Ultra Firm. The High-Profile Latex Foam Mattress comes in your choice of Soft, Regular Firm, Extra Firm and Ultra Firm. Please ask your Adjustable Bed Factory Represenative for a further explanation of ILD. This is how we make the inside of your Latexpedic High Profile Mattress. Notice the extra 1.1" of Softer Latex Foam on both sides than the standard 7" thick Latex? 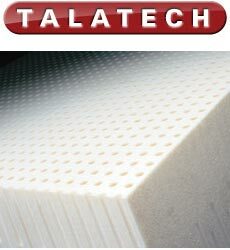 Notice that the insides are solid Talalay Talatech Latex: not just a layer of latex on top of non-latex foam. ILD: Indentation Load Deflection (ILD) is a measurement of latex foam firmness. ILD is measured by indenting (compressing) a foam sample 25 percent of its original height. The amount of force (in pounds) required to indent the foam is its 25 percent ILD measurement. The more force required, the firmer the foam. Flexible foam ILD measurements range from 10 pounds (supersoft) to about 80 pounds (very firm). Take Your Time . . . 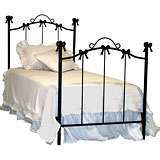 Your adjustable bed and mattress is your most important furniture investment! What Does 45 YEARS of Experience Mean to You? We are the manufacturer of the Model 585, the World's Best-Built Electric Adjustable Bed; and also offer Adjustable Bed Models from other manufacturer's that may have certain features Better than the Mode 585 (3 motor high-low Flex-A-Bed, 600 Pound Capable Prodigy, Wall-Hugger S-cape, Higher-in-the-Back Reverie, and the more economical Pro-Motion). When people buy "other" models they still enjoy our expertise and our selection of Adjustable Bed Mattresses and Firmnesses. Our "secret formula" for success is to be very sincere in getting you ONLY what is BEST for you - even it that means telling you to buy somewhere else. Latex Foam "Our Highest Recommendation"
Contact Us - best discount pricing on your purchase.